BitArtist.org: LEGO Mindstroms Sudoku Solver. 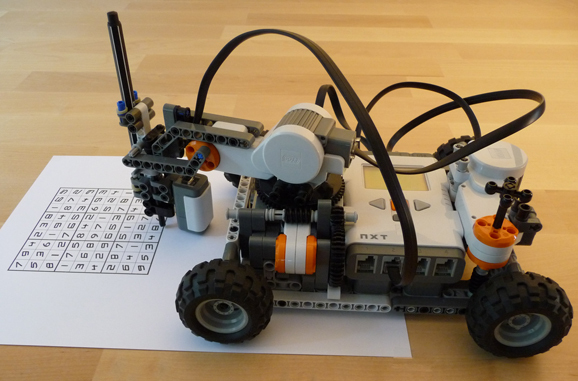 A robot made with LEGO Mindstroms can scan the text on a sudoku game sheet and control a pen to write the answer back. It is really amazing. It involves many complicated tasks, like motor control, image processing and character recognition.